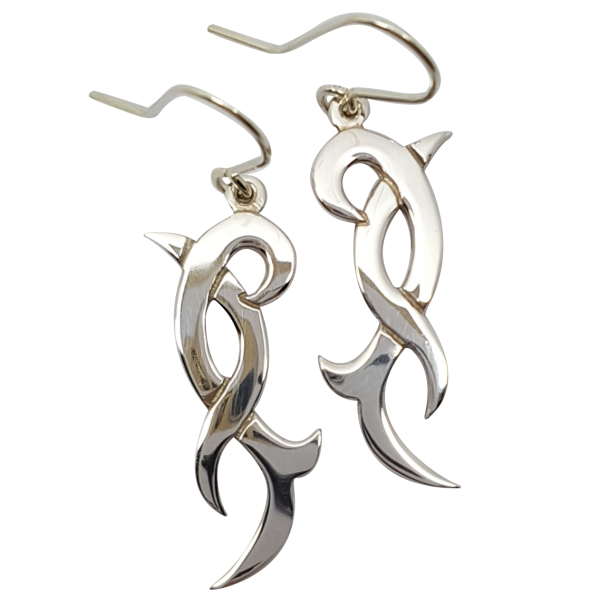 Our Celtic stag antler earrings are made by and exclusive to Love from Skye on the Isle of Skye. Their elegant Celtic knot-work design, suggests the shape of a powerful, grand Scottish stag’s antlers. These open knot-work earrings measure 30mm x 14mm and can be made with your choice of hook or post & butterfly fittings. Beautifully made, sit well in the ear, not to heavy but not flimsy. Loved them so much I got the matching necklace. I am so pleased with these earrings! Can’t wait to show them to my friends.